Our occasional Library D.I.Y. series continues with a new, monthly event for Lewis students, faculty and staff who are interested in needlework, knitting, and other handicrafts. 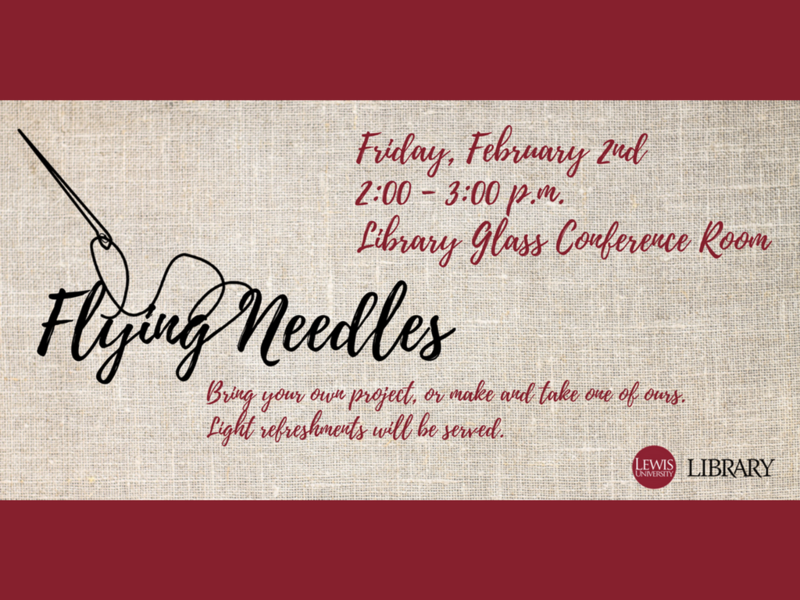 The Flying Needles group will meet the first Friday of each month from 2 to 3 p.m. in the Library’s Glass Conference Room. Bring your own project, or make and take one of ours, and get to know other crafty Flyers while enjoying some light refreshments. Participants of all ability levels are welcome. The fun starts this Friday, Feb. 2 at 2 p.m. For more information, contact Lindsay Harmon at harmonli(at)lewisu(dot)edu or Alice Creason at creasoal(at)lewisu(dot)edu. 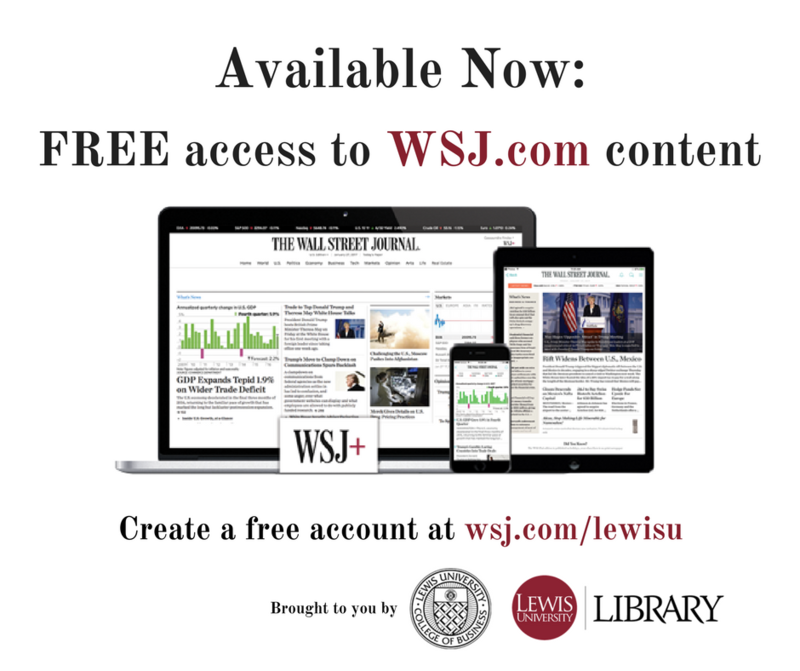 Free access to Wall Street Journal content is now available to all Lewis students, faculty, and staff through a partnership with the College of Business. With access to the world’s latest news, business insight, and expert commentary, every student has the power to fuel their ambition with The Wall Street Journal. Each activated account comes with access to WSJ.com, the WSJ mobile app, and curated newsletters. logging in via the My Lewis portal. Emails will be sent periodically to users to confirm their current enrollment at/affiliation with Lewis. Student members of The Wall Street Journal access the same content C-suite executives, business leaders, and other influencers use to make global business decisions on a daily basis. In addition to real news and ground-breaking journalism, The Wall Street Journal offers insight into career development, college rankings, politics, technology, real estate, and the arts, fueling the ambition of its readers with thought-provoking content. For more information and sign-up assistance (plus some WSJ swag), watch for WSJ information tables on campus this month. Sign up by March 31, and you’ll automatically be entered to win $60,000 that you can use toward your tuition! Visit wsj.com/studentsweepstakes for more information.